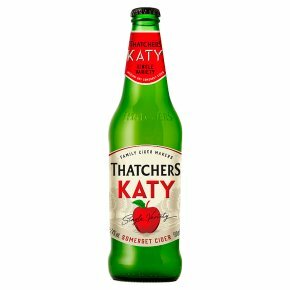 An unusual premium cider made from a single apple variety, Thatchers Katy is light, medium-dry and softly sparkling. Made with the finest Katy apples and crafted in Somerset, it captures the distinctive natural qualities of this classic apple. Great on its own, with chicken in creamy sauce, or Lincolnshire cheese. Gluten-free. Suitable for coeliacs, vegetarians and vegans.